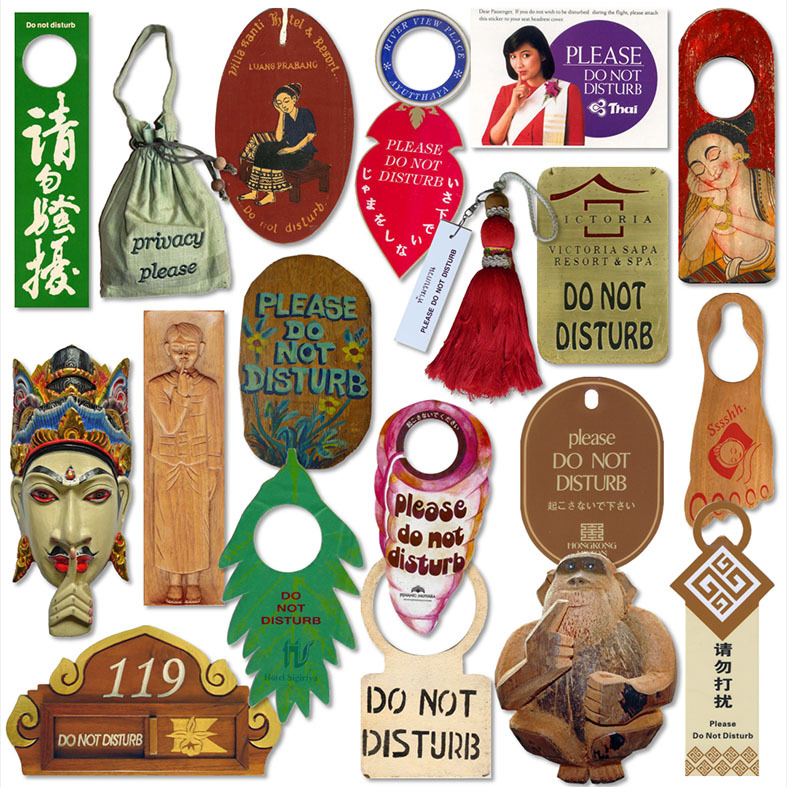 "Do Not Disturb" signs uphold a guest's "reasonable" right to privacy. 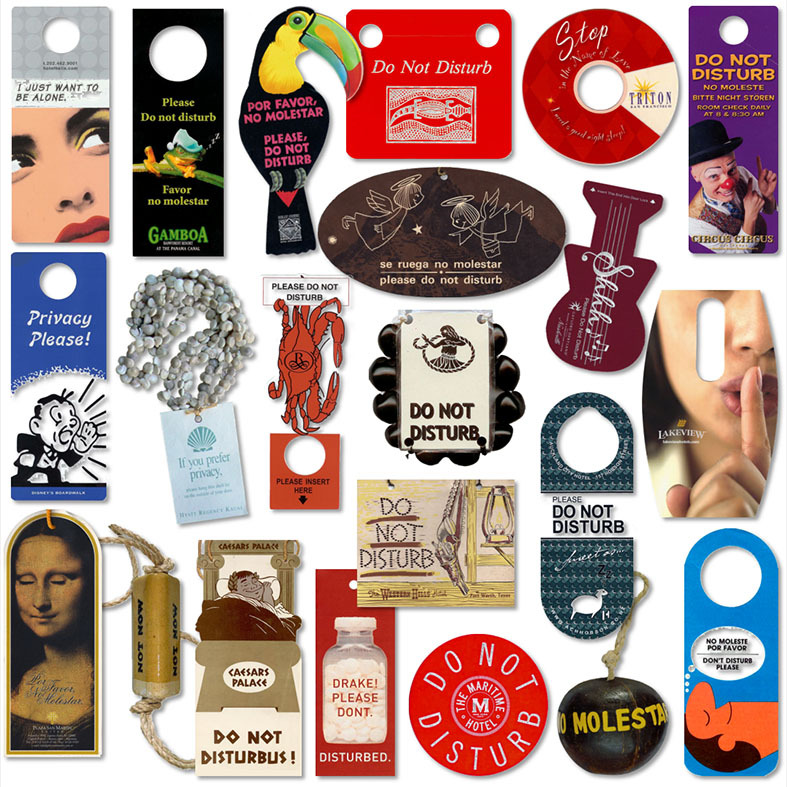 To this date, my collection counts over 18,000 signs from 197 countries and 26 dependencies / territories worldwide. Click on any of the links below to view the pictures of all available signs for each Region, Country or Category. This includes dependencies and territories under the jurisdiction of another country. Some of the major hotel brands worldwide. Hotel groups may directly own the hotels or operate them through a franchise or management agreement. 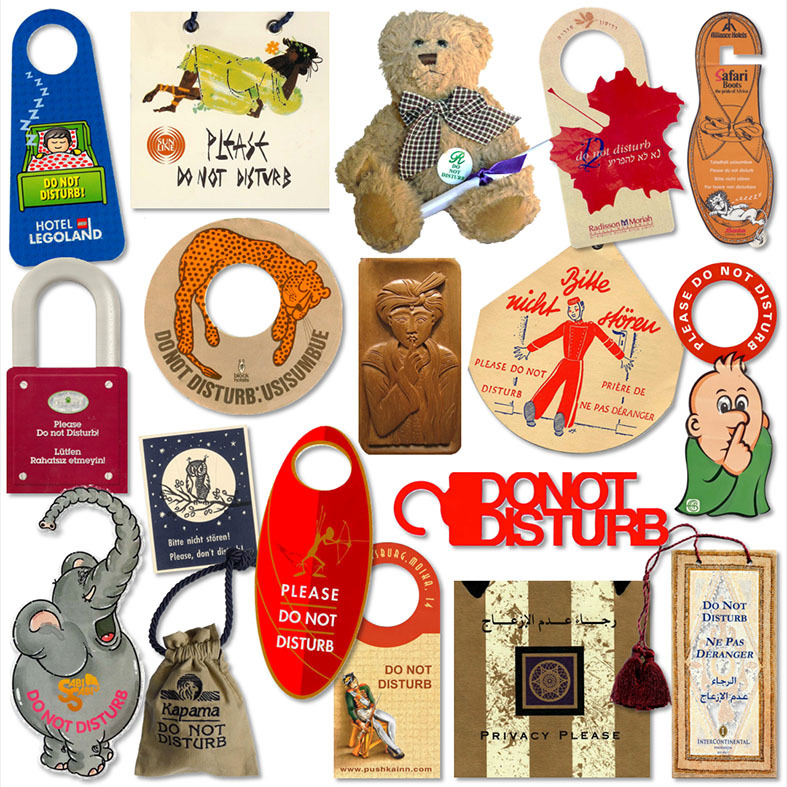 "Do Not Disturb" signs are not just from hotels. This group includes signs from cruise ships, airlines, former prisons, educational institutions, hospitals, etc. The designations used in this presentation do not imply the expression of any opinion whatsoever on the part of the author concerning the legal status of any country, territory, city or area or of its authorities, or concerning the delimitation of its frontiers or boundaries.